New research links insomnia to these five personality types. Here's what to do if one of them sounds like you. Are you an anxious person? A type-A perfectionist? Prone to depression? Highly stressed? Then there’s a good chance that you aren’t sleeping well. It’s long been known among sleep experts that insomniacs tend to have certain personality traits—most of them not all that positive. And a new paper published in Lancet Psychiatry only furthers the evidence. Netherlands Institute for Neuroscience researcher Tessa Blanken and her team studied the personality traits and life histories of 2,224 study participants diagnosed with probable insomnia disorder between 2010 and 2016 and traced insomnia to five personality types. Type 1 or “highly distressed” people feel very active and anxious right before bedtime and are prone to depression. Type 2 folks—“moderately distressed, reward sensitive”—are similar to type 1 in that their minds also start racing before bedtime, but they tend to be more receptive to happy or pleasurable emotions. Type 2 personalities reported higher than average levels of insomnia due to stress, which made Blanken theorize that these personalities may experience a type of insomnia called psychophysiological insomnia, which causes stress over sleep itself (therefore keeping them awake). Type 3, “moderately distressed, reward insensitive” people, are extremely unhappy and generally pessimistic. Although they’re not receptive to happy feelings, type 3 personalities aren’t as likely to have diagnosed depression as type 2s. Type 4 people are “slightly distressed, high reactivity”—less distressed over life in general, but with difficulty sleeping based on life events, such as financial or relationship troubles, according to Blanken’s study. While most people may lose some sleep after a breakup, for example, type 4 personalities have longer and more sustained insomnia than usual. They also tended to have trauma in their childhoods. Type 5 or “slightly distressed, low reactivity” insomniacs also struggle to sleep because of life events, but they have less intense reactions to these events and also report less trauma in childhood than type 4s. This personality type also shows low levels of motivation, according to the study. Both type 5 personalities and type 4 personalities are more likely to develop insomnia in their 40s. The “distressed” personality types Blanken points out in her paper are people who probably don’t feel serene all that often. And there’s a scientific explanation for your brain’s need for serenity to shut down properly for several hours every night. It’s all about keeping your body safe. Maybe that sounds noble: You can’t sleep because you’re too good at your job. But losing sleep makes people less productive and less focused at work, which means your sleeplessness probably translates into fewer problems solved—and therefore even less sleep. It’s a vicious cycle. First, recognize that insomnia is not out of your control. “People think about sleep problems as if it’s out of their hands, and if it’s out of your hands then you’re out of control, and if you’re out of control then you’re in danger, and if you’re in danger then your brain is in stress and it’s going to avoid sleeping,” Dr. Pelayo says. Step number one is to stop thinking to yourself (and telling other people) that you’re “lucky” to get four or five hours of sleep every night. If that’s a common phrase for you, then it’s time to make an appointment with your doctor to talk about your insomnia. Sometimes your primary care doc will be able to treat the root cause of your sleeplessness. Other times—like if depression or anxiety are getting in the way of your sleep—a mental health specialist might be able to provide therapy, antidepressants, or anti-anxiety medications to help you get better rest. 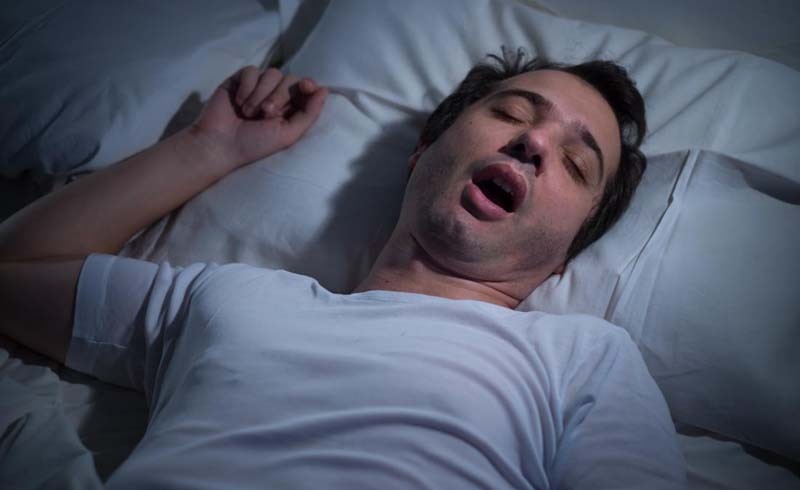 But if sleepless nights persist, Dr. Pelayo suggests seeing a sleep specialist. Often, they’ll ask you to do cognitive behavioral therapy (CBT), a common type of psychotherapy that helps patients recognize negative thinking so they can address challenges in a more positive and effective way. CBT is very effective for people with insomnia, Dr. Pelayo says, while something like sleeping pills can be less helpful because they won’t treat the root cause of a sleep problem. U.S. Daily News: Is Your Personality Ruining Your Sleep?